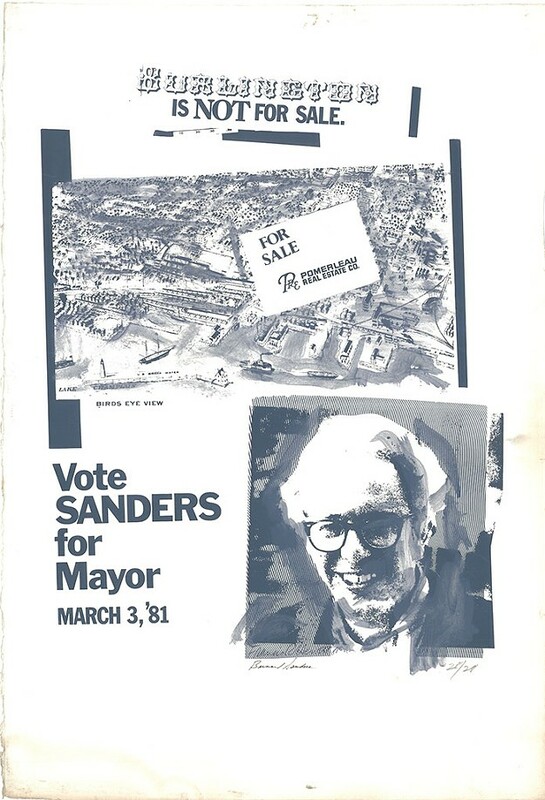 'Burlington is not for sale' - Artist Frank Hewitt created this poster for Bernie Sanders' first campaign for mayor in 1981, when one of the big issues was how to redevelop the waterfront. Sanders favored creation of public space over selling the entire area to a private developer, so Hewitt chose that theme for his poster. Sanders squeaked to victory by 10 votes, defeating the Democratic incumbent. 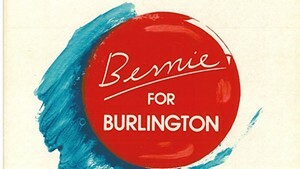 'Bernie buttons' - In this 1983 poster, Hewitt used the images of two big campaign buttons to convey the message that Bernie was good for Burlington, so Burlington voters ought to rally for him on Election Day. They did. He won 52 percent of the vote in a three-way race with a Democrat and a Republican. 'Bernie = Burlington' - When Sanders ran a third time for Burlington's top job, Hewitt's poster featured a classic image of the mayor with a mic, hand raised to make a point. Sanders won reelection with 56 percent of the vote, again in a three-way contest. 'Grand slam' - For Sanders' fourth and final term as mayor, Hewitt chose a different theme for his poster: baseball. 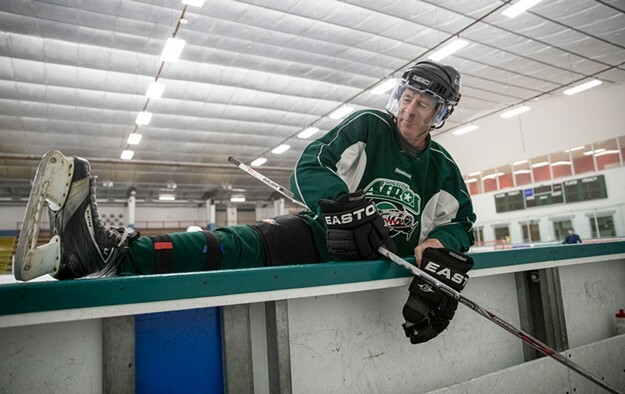 The poster suggested that the mayor could hit a "grand slam" of accomplishments if voters returned him to office. It also reminded voters that Sanders' dogged pursuit of a professional minor-league baseball team paid off. 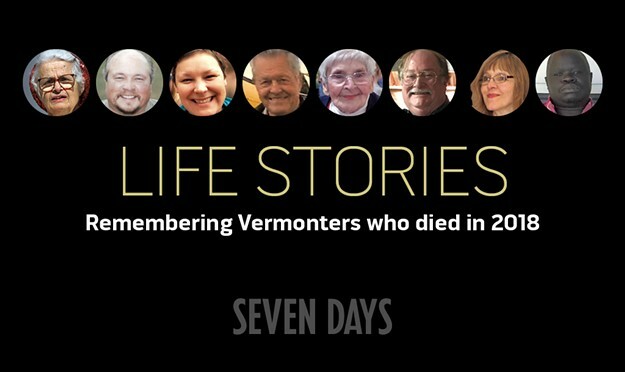 The Double-A team, initially dubbed Vermont Reds, began playing in the city in 1984. Sanders garnered 55 percent of the vote against a Democratic challenger. 'A new audience' - Hewitt kept it simple when he created the 1990 poster for Sanders' second attempt to win the state's sole seat in the U.S. House of Representatives. 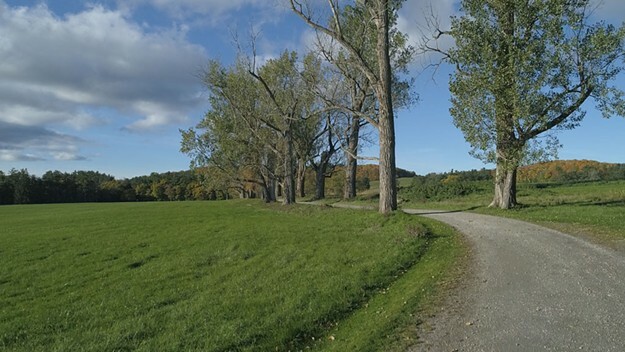 Just the candidate's name appeared — first, of course — followed by a map of Vermont and a declaration of his independence. After six unsuccessful runs for various statewide offices, Sanders secured the Congressional seat in a four-way race, with 56 percent of the vote.